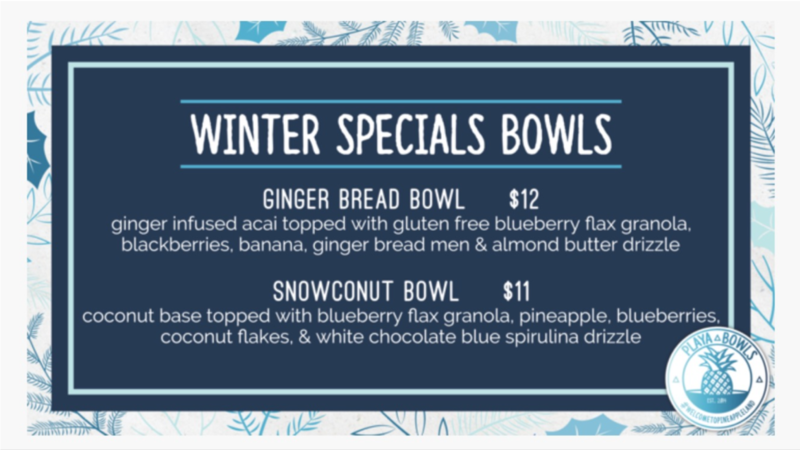 New Winter Bowls are here and available at all Playa Bowls locations starting December 1, 2018. - January 15, 2019. These new bowls are EVERYTHING, so be sure to stop by a Playa Bowls location near you to try them out!